Hi I'm Von with Sieburth and we build integrated websites, eCommerce applications, and provide web & marketing results for growing organizations. Pick up the phone and call me, lets review your project. 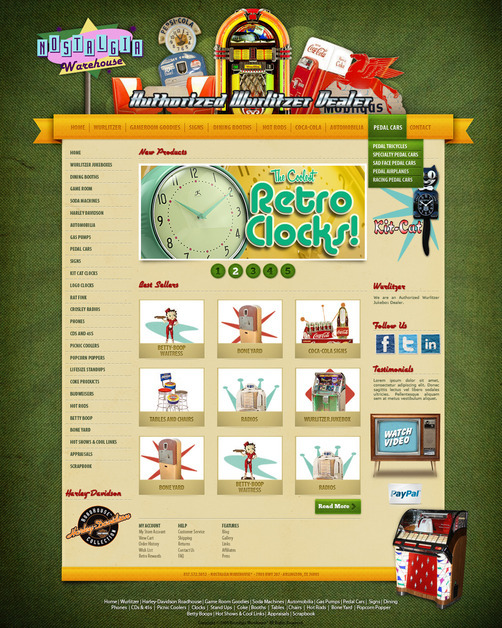 Ecommerce site redesign for Nostalgia Warehouse.